The property versus shares debate is an old one that can turn any dinner table chitter-chatter into a heated debate. If you have money to invest, you’ll need to weigh up all the pros and cons before parting with your hard-earned cash. While it’s argued that shares are more exposed to volatile fluctuations, various official data would suggest that there’s little difference between the two in terms of returns over a long period. This data leaves little in the debate, however, our experience shows the real difference kicks in when you consider all the benefits of borrowing for an investment property purchase. As a Financial Planning business, we are not your traditional share market only oriented Advisers, we use direct property as an equally valuable asset class in wealth creation and debt reduction strategies for our clients. We use investment property as a base for the wealth creation strategy for clients because it offers the ability to use a relatively small amount of money to leverage into a larger asset. If you tried to do the same wealth creation strategy using shares or managed funds, you wouldn’t be able to drive as large an asset base because you are not able to borrow at the Loan to Value Ratio (LVR) for shares as they you can for property. As an example, if you had $100,000 and you wanted to gear it into shares just like you do property, at most you would end up with about $330,000 worth of shares based on a 70% LVR margin loan. However, that same $100,000 deposit could secure a $500,000 property based on 20% deposit home loan lending. Some lenders will go even lower on the deposit. With margin lending in shares there’s the issue of margin calls if the value of shares go down or lenders change the LVR on individual stocks within your portfolio: which could require more capital to be tipped in or investments to be sold at a lower value. Both strategies are not without their risks, however, we find gearing through property allows you the opportunity to drive a larger asset base, without the short-term volatility or compounding losses that gearing via a margin loan can bring. We also invest in managed funds and shares for our clients but property is used as the engine that drives the wealth creation strategy. If you are being “sold” a property investment, you need to understand more than just the location and the price. Seeing a qualified Financial Adviser who can to look at your overall situation will mean the difference between taking a gamble on a property and significantly reducing the risk while achieving an outstanding rate of return. There are some basic things that must be present in the location, it must be in an area that is popular with a large rental pool: this means looking at schools, shops, public transport and transport corridors. It must also be in the right rental price range to ensure that you are not too cheap or too expensive, both of which have their pros and cons. Ensuring the price that you purchase at is correlated correctly with the rent that you can charge, safeguards the number one factor in your investment is taken care of; and that is having a property that is actually rentable. High population growth corridors such as South East Queensland have a myriad of opportunities although we always stay away from the large brand-new estates as there are usually too many new rental properties coming on the market. This generally leads to lower rental returns which can be detrimental to the overall strategy. These new suburbs also tend to be a little more expensive, so again, the rental yields are not conducive to a good overall investment. We always tell our clients that we do not expect any growth in their property, they are still achieving an excellent internal rate of return usually greater than 20%, so any growth they may achieve is a bonus. Why don’t we factor in Growth? Property in Australia has had an incredible run in most areas and as such, the recent pull back in prices is not unexpected and is not a problem for a well-structured investor. We also know that Australia consists of several different markets and should never all be lumped in together. Property will not go up at the extraordinary rate that it has in Sydney and Melbourne but that doesn’t mean that an investor can’t achieve a 20 plus percentage internal rate of return depending on their personal circumstances. To achieve this return means taking your entire financial position into consideration to ensure the investment is working in harmony with the rest of your personal situation. This then takes away the requirement to achieve exceptional growth on an investment property. In our investment strategies we assign a growth rate equal to inflation in order to temper the expectations of our clients. Our strategies ensure an internal rate of return that cannot be achieved through a regular investment portfolio. This does include use of the current taxation system as well as debt reduction strategies to ensure the creation of real wealth not just asset ownership with corresponding debt levels. There is a lot of speculation about the future of negative gearing and while we may not agree with these proposed changes, there is a very real possibility that the next Government will change the current rules. However, our real estate division only ever recommends new properties which will not be affected under the new proposals. This leaves us looking for small developments in established areas where valuations are certain, and the rental market is strong. As Financial Advisers we are licenced and qualified to look at a client’s entire situation including the tax implications of every possible investment. This is something that a Mortgage Broker or Property Spruiker are not able to do: yet it is absolutely vital in assessing whether a property investment is right for you. I am sure you have all been approached or seen advertising or possibly have been to a property investment seminar. Unless these people are qualified Financial Advisers (you can look them up on the ASIC Money Smart Financial Advice register) they are not legally allowed, nor qualified to consider your personal financial circumstances when talking you about property. These spruikers are also more likely to put you into a mass new suburb with an over-priced property in a street full of rental properties they have sold to other clients. You then have the farcical situation of their clients all competing against each other for tenants on the same street. Financial Advisers have a legislated duty to act in the best interest of our clients, this means that we are legally obliged to recommend you not do something if it is going to be detrimental to you financially. Unfortunately, the property industry does not have the same obligations and we hear horror stories every day from people who have been put into properties without any consideration of the long-term financial position of the client. It is just as important for you to consider your exit strategy for property investment. In most cases we set up our clients to never have to sell, creating inter-generational wealth. However, we have to consider how our clients will fund their retirement: you can’t break off a piece of your house and sell it so making sure that you will have enough income is essential, this means ensuring that your personal debt is eliminated by the time you retire. The property will quickly become an anchor to you financially if you are still paying it off come retirement time and you may be forced to sell at a bad time in the market and sustain losses if this happens. Take the time to speak to a Financial Adviser to see if a property investment is right for you. Not all Financial Advisers understand direct property as an investment though, so you need to do some homework before you choose an Adviser. If a direct property investment is not right for your personal circumstances, there are many other opportunities to invest in the property market in a way that is more appropriate to your circumstances. Jonathan has an extensive background in the financial planning sector spanning 20 years. 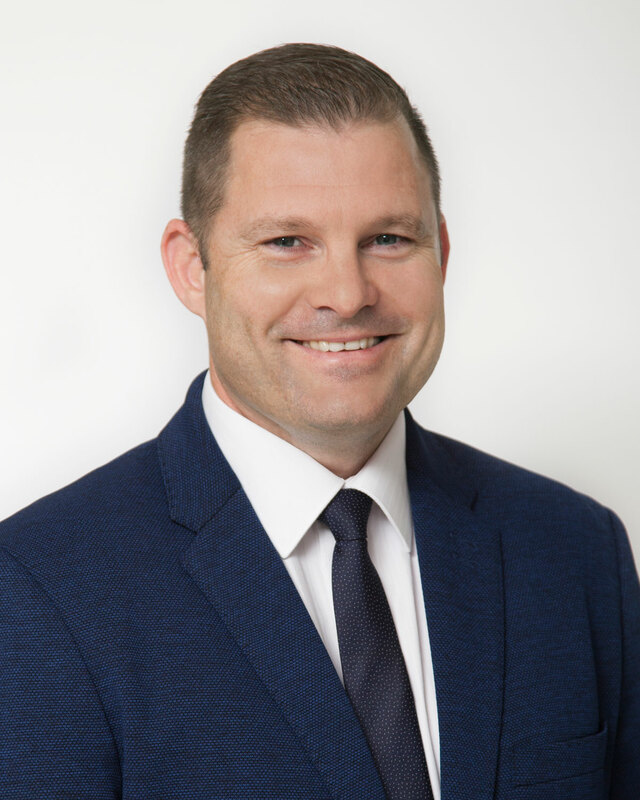 Prior to owning Voyager Wealth Management, Jonathan was the CEO of a national, fully integrated financial services company offering wealth creation advice along with property investment. His career has featured a diverse range of roles with high profile financial planning companies. In addition he has set up new Financial Advice businesses including a company which provided financial planning services to over 60,000 members of a number of industry superannuation funds. Jonathan and his business partner Sarah Nulty own Voyager Wealth Management and have a commitment to raising the standards of financial advice for their clients. Jonathan has a Master of Business Administration through RMIT University, and also a Diploma of Financial Services.